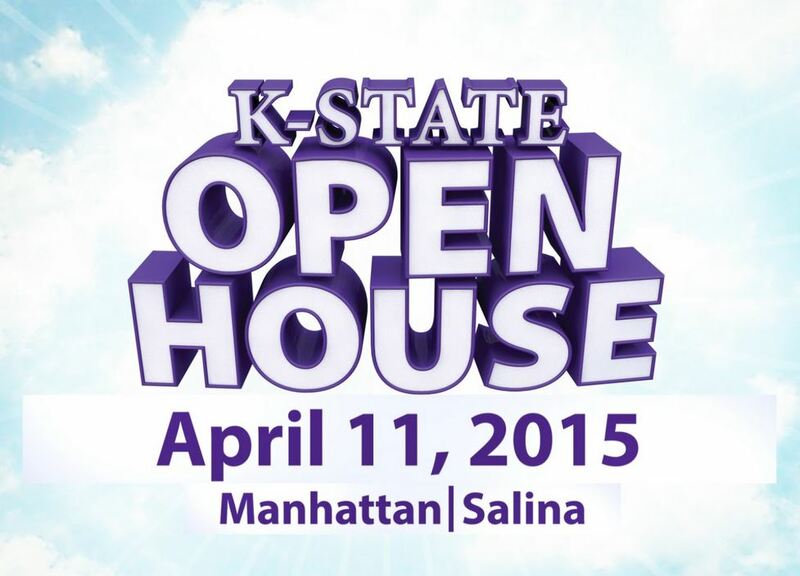 Manhattan: 9 a.m. to 3 p.m.
Salina: 9 a.m. to 2 p.m.
Join the 20,000 people who flock to K-State’s carnival of academic exhibits, entertainment, food, and fun every year. Open House is a family friendly event with something for everyone. Don’t miss live entertainment in the quad and Bosco Student Plaza. Explore K-State’s 250 majors and options, 475 campus clubs, and nine colleges: arts and sciences; engineering; business administration; education; agriculture; human ecology; architecture, planning, and design; veterinary medicine; and technology and aviation (in Salina). College representatives will be on hand to answer all of your questions, and you can attend special events just for future students. K-State’s biggest annual event traces its roots to several college events like Home Economics Hospitality Day, Engineers’ Open House and Ag Day dating back nearly 90 years. The first all-university Open House was held in 1969 and has since become one of the most popular traditions at K-State.